With over 17 years delivering capabilities for the Australian Defence Force (ADF), Mellori Solutions understands training for excellence. 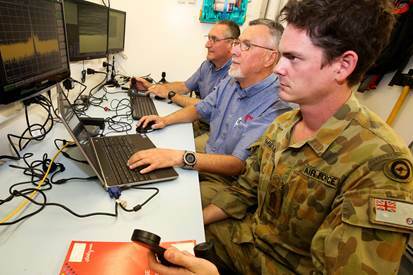 Mellori Solutions builds, supplies and supports manoeuvrable and portable through-air systems for Defence operational training, as well as operating the ADF’s mobile TATS unit for EW training. Our land and sea-based through-air systems offer realistic EW training, including the provision of communication (C-ES and C-EA) training capability, and we can tailor through-air systems to be fully threat representative with visual and infrared augmentation. If you’d like more information about our formal training and education in EW equipment, signals analysis and operational support, get in touch and we look forward to responding to you.